A cheaper and less powerful Zealous Conscripts. 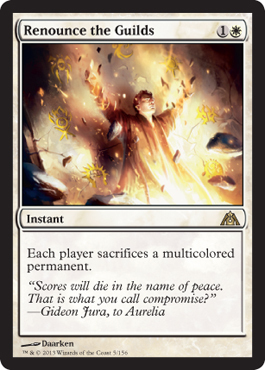 Not too bad, but I'd rather run Zealous Conscripts. 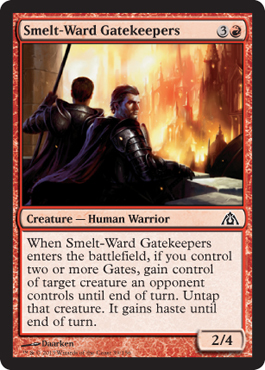 It may cost one more, be a 3/3 instead of a 2/4 (not a bad trade off though), but it has haste and doesn't have the Gate requirement like Smelt-Ward Gatekeepers. 7 mana for a 4/4 with protection from creatures (Mizzium Mortars will take car of this easily), and when you are dealt combat damage by a creature, it gets destroyed and you get a 1/1 flying spirit token. 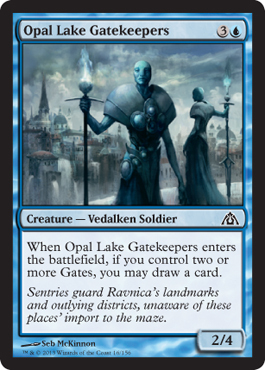 Really powerful, probably will see Commander/EDH play for sure, but damn. 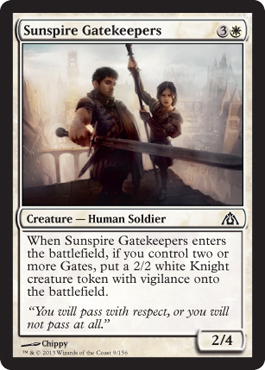 Powerful, might not show up much in standard, especially if you can easily be killed in about 5 turns, which is two away from casting Teysa. We get to see the art in the card frame. Interesting. 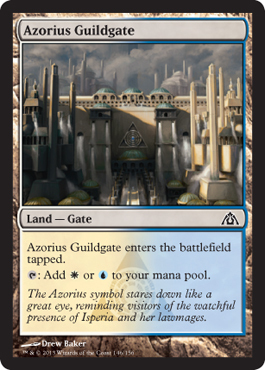 Unfortunately lands are colorless... Last I checked anyway... 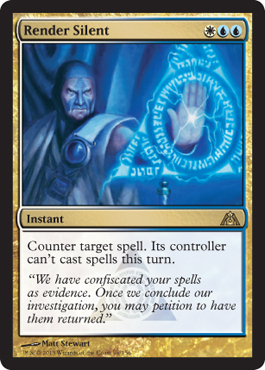 Otherwise we'd be killing shocklands on turn two. Okay, this is pretty awesome. 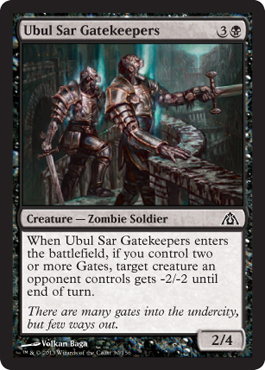 All your unleashed creatures get haste, and of course you get an unleashed (4/4) first strike and haste creature for four mana. I like this. 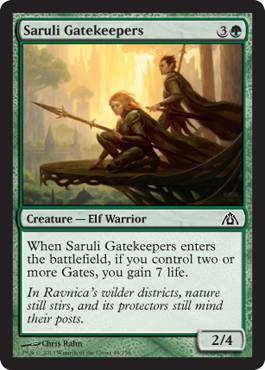 Might bring back my Rakdos unleash deck now that I see Exava's card.